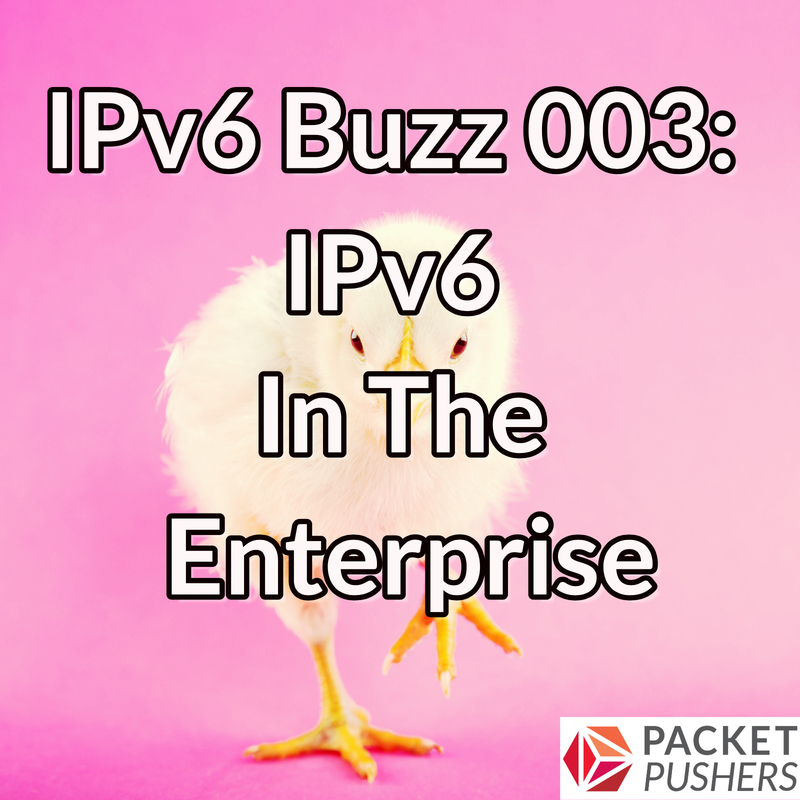 Why do enterprise mergers and acquisitions need IPv6? How might enterprise IT strategies incorporating cloud, IoT, and security be impacted by lack of IPv6 adoption? What information is key to allow both an enterprise IT decision maker and engineer to confidently deploy IPv6? How big should an enterprise IPv6 allocation be? How will network programmability be impacted by IPv6? This entry was posted on Thursday, June 28th, 2018 at 5:58 pm	and is filed under Podcasts. You can follow any responses to this entry through the RSS 2.0 feed. Both comments and pings are currently closed.